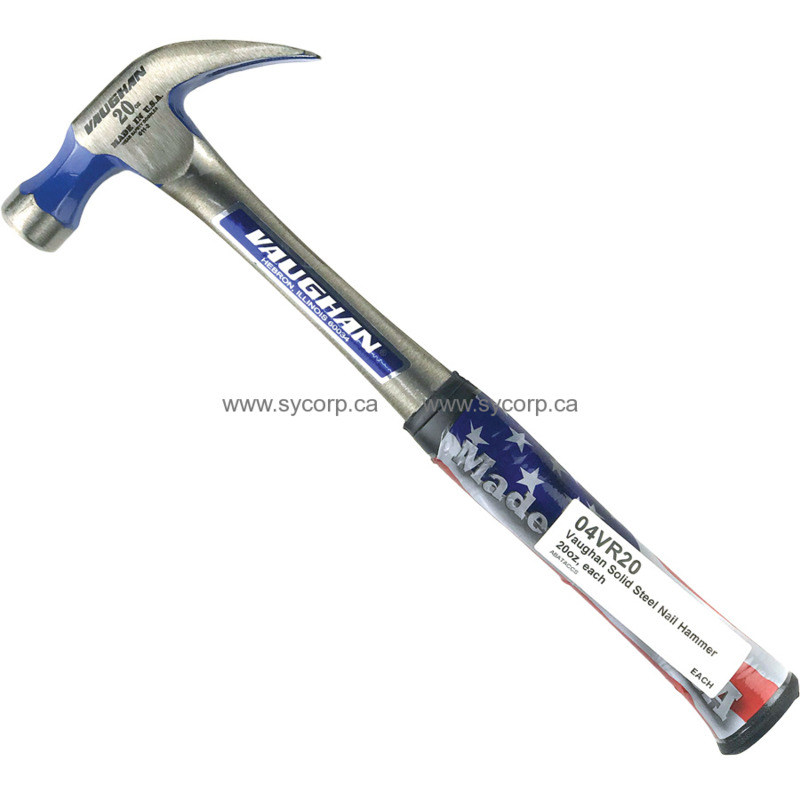 There’s never been a solid steel hammer like the 20 oz Vaughan Steel Eagle®. Forged entirely of high quality, American made, high carbon steel with rust resistant powder coat finish, it has all the toughness and durability you would expect in a solid steel hammer without the irritating sting. "MADE IN THE USA".